Dental emergencies can be one of the most urgent problems. If you have a serious toothache, broken or cracked teeth, or other issues that require immediate attention, don’t worry. We’ve got you covered. If you have a dental emergency and need immediate dental care, call our office right away and we will get you in as quickly as possible. At McCosh Family Dentistry, the last thing we want is for any of our patients to suffer the pain and misery of a dental emergency. The mouth is the one area of the body where there are more nerve endings than anywhere else. The mouth is the one area of the body where there are more nerve endings than anywhere else. So even the slightest problem with your teeth or gums often can cause excruciating pain. That’s something nobody should have to suffer. That’s why McCosh Family Dentistry is committed to helping people with dental emergencies whenever they occur. We always keep a few appointments open throughout the day to accommodate last minute and unexpected surprises. So you won’t usually have to wait very long to get the care you need. South Florida is one of the most popular places for visitors from all over the US to come visit, not to mention international visitors. At McCosh Family Dentistry, we believe in treating everybody who is in need of urgent dental attention. 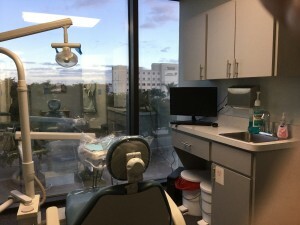 That’s why we have provided emergency dentist services for people from out of town even if they weren’t previously our patients or don’t plan to use our services again in the future. That’s our commitment to serving our community and the people who visit it. We care about everybody and want people to get the urgent dental care they deserve.